Forget about iPhones and the Galaxy series, if you’re a serious developer or like your phones powerful, simple and affordable, the Nexus 5 should be the phone to wait for this year. 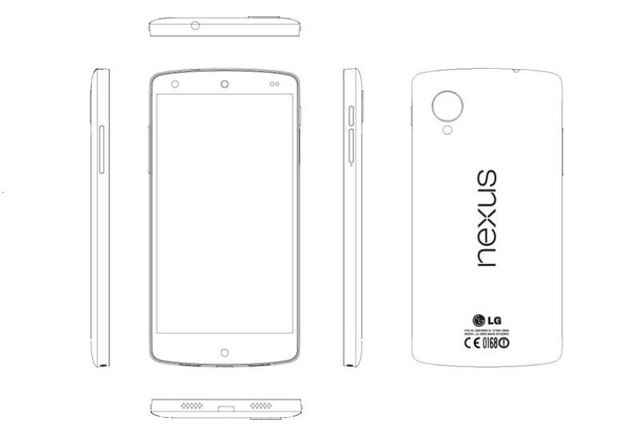 Apart from packing in the latest and greatest specs, the Nexus 5, manufactured by LG will be the first device to run Android 4.4 KitKat. Slated to launch between the end of October and mid November, the Nexus 5 was first spotted in the Android 4.4 KitKat reveal video and has been leaked extensively thus. However, with the just leaked service manual, we now have confirmation of pretty much all the hardware! As expected, the SoC is a Snapdragon 800, pretty much what’s used on most Android flagships now. The interesting thing to note here is that the Nexus 5 will come in 16 GB and 32 GB variants, which might be considered by some to be not enough storage space. Again, there’s no expandable storage option, so multimedia and app hoarders will definitely feel the pinch. Another fairly big change is the inclusion of 4G LTE radios, which weren’t available on the Nexus 4. After all, there’s not much sense in having a super powerful phone like this and not being able to connect to high speed networks. Rest of the fare is pretty standard, other than the OIS capable rear facing 8 MP shooter and wireless charging support. We’re expecting most of the magic to come by way of the new Android version, so there’s definitely more to come! Edit: It has been taken down due to copyright infringement.